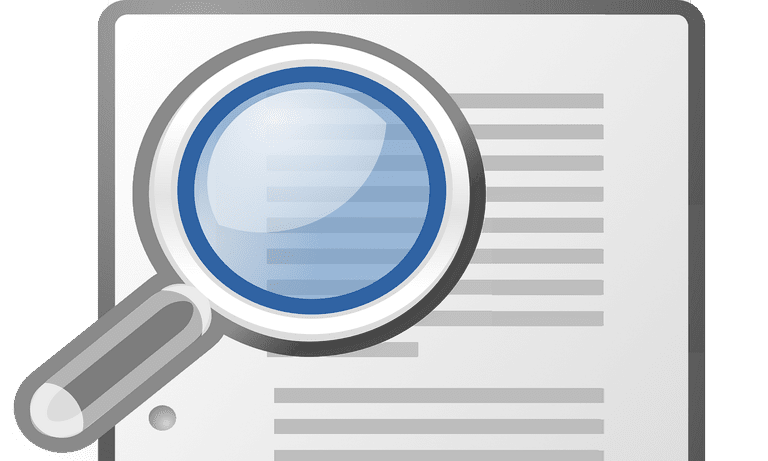 There are several ways to search for a word or phrase in a PDF, depending on the application you are using to view it. 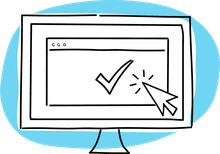 The most common way to view a PDF is through a web browser like Google Chrome or Microsoft Edge. Even if the PDF is located on your computer rather than the web, it will often open in your default browser. Things are a little different for Mac users, who will find a PDF on their Mac to open in Preview, a handy app quite capable of previewing most files. Most options also allow some form of advanced search such as case sensitive of whole word match. If you need to search for a word in the PDF and your browser doesn't support whole word match, simply put a space at the beginning or the end of the search phrase. You start a search using the Find keyboard shortcut. On a PC, this is Control-F. On a Mac, it is Command-F. Hold down the control or command key, and while it is held down, press the F key. A search box will appear on the screen. Google Chrome has a simple find interface with up and down buttons to find the next match or the previous match and an X button to close the search window. Microsoft Edge opens a bar across the top. In addition to left and right buttons that Find Next and Find Previous, you can click the Options button to match whole words, which means "day" won't match with "today." You can also choose a case-sensitive search. Apple's Safari browser has left and right buttons to perform Find Next and Find Previous. There is a Done button to close the search bar. Mozilla Firefox's search bar will appear at the bottom of the screen. In addition to up and down buttons for Find Next and Find Previous, you can Match Case, find Whole Words and Highlight All if you want every matching phrase to be highlighted. Internet Explorer will display a small window with left and right buttons for Find Next and Find Previous. Of special note is the black down button. This button will open a menu for case sensitive searches, whole word searches or Full Reader Search, which creates an index for every matched word or phrase. Most PDFs on Windows-based PCs will open in a web browser by default, but if you have Adobe Reader installed, it may open in the reader. The advantage of opening the PDF in Adobe Reader is the ability to add highlights or comments to the PDF. You also have access to other features like exporting the PDF in a different format if you are an Adobe Reader subscriber. Adobe Reader uses the same interface as Internet Explorer. Or, perhaps more accurately, Internet Explorer borrows Reader's interface. You can begin a search by using Control-F (or Command-F on a Mac) and use the left and right arrows to find the previous or next match. The down arrow provides a menu with Whole Word search, Case Sensitive search and Full Reader Search, which creates an index of all matches. If you double-click a PDF on your Mac, it will open it in the Preview app by default. This is great because Preview is one of the best ways to search a PDF file. The search bar in the top-right corner is always present in Preview, but the Command-F shortcut still works and will place your cursor in the search bar. After you search, an index of all found words or phrases will appear on the left side of the screen. All found results are highlighted in Preview, with the current found phrase highlighted in green rather than yellow. You can toggle through the matches by clicking the left and right arrows at the top of the screen for Find Previous and Find Next.